All our teaching staff attended this conference in the Term 3 school holidays. Over the school holidays all the staff attended U.Learn 2015 in Auckland. Over 1800 educators attended this conference from across New Zealand and Australia. This conference was structured around three key themes that focused on teaching and learning: Collaborate, Innovate and Educate. ULearn15 uses three key over-arching themes that focus on aspects of learning and leading:Collaborate, Innovate, and Educate. These act as umbrella concepts, and together make up the ULearn conference tagline. You can read about the concepts for each theme below. Collaboration is acknowledged in literature and understood by teaching professionals as a key driver of quality leadership and effective teaching and learning. Educationalists recognise the benefits of connecting, sharing and developing strong collegial relationships. This theme considers the fast evolving world of collaborative spaces and places, most appropriate technologies, and the impact of online and open sourced learning opportunities and environments in supporting learning. It covers who connections can be made with, and the processes involved. Partnerships which exist between the school and home, the student and the wider business community, or global connections, will help provide context. Because ICT enables both closer collaboration and personalisation, we must consider where learning takes place and how it is facilitated and moderated. We can choose to look locally, nationally and internationally at options emerging to support student learning. How do you foster relationships with children’s homes and the wider community? How do you go about establishing collaborative learning relationships at a national or international level? Innovation is driven by our need to seek improvement and evolve new opportunities. To be successful, innovation needs to build sustainability and empower further development. This theme focusses on building processes, materials and resources that support learning, within and outside the educational community. Creativity, thinking and effective learning, emphasising how new pedagogies and practice can help teachers meet this imperative are are encapsulated in the theme. Teachers are challenged to meet current and future needs by adapting practice, making new connections, and changing structures to suit new paradigms for learning in the 21st Century. In sustaining such change, there is a need to consider new and improved infrastructures, innovative systemic structures, timetables and assessment. New connections are required with enterprise. Leaders require a new range of understandings and literacies. Reflectively challenging current views and opinions to seek new ways to prepare learners for an uncertain future drives this conference theme. What changes have you explored and/or made to existing structures such as timetables, assessment, school day, subjects etc, to enable such innovative approaches? Teachers are challenged to engage, enable and empower the learner in a technology rich and fast changing environment. Schools are considering values and vision as they seek to interpret appropriate ways of delivering the New Zealand Curriculum. They must provide appropriate learning opportunities which consider learning dispositions, the essential learning areas and key competencies. Teachers need to examine the most effective ways to measure learning outcomes through appropriate assessment and effective reporting. This theme focusses on how new pedagogies and practices can be integrated and appropriated and how new technologies are assisting teachers to engage in new ways with learners’ expectations and needs. Many schools are undertaking their own journey towards answering the questions: “What is powerful learning?” and “What is it powerful to learn?”. What are the theories of learning that most influence the way you teach? What is the most recent new pedagogical approach that you have tried in your classroom/centre? What happened? Who have you shared this with? 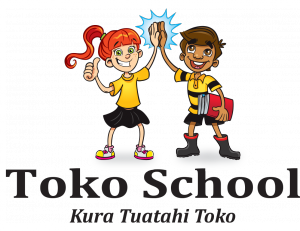 To what extent are ICTs used to support your implementation of the NZ Curriculum/Te Whariki and Te Marautanga o Aotearoa (TMOA)? What are the ways that you know what and how your students are learning? How do you gather the evidence to support this? How has your teaching approach changed as a result?